Ultramarathon runner Shannon Farar-Griefer has logged hundreds and thousands of miles in races across the country. In 2001, Farar-Griefer became the first woman in the world to double the Badwater Death Valley race (292 miles on foot). By comparison, the LA Marathon on Sunday, March 9, should be a cakewalk. But 52-year-old Farar-Griefer is nervous. In 2005, doctors diagnosed her with Multiple Sclerosis (MS), “a chronic, often disabling disease that attacks the central nervous system: the brain, the spinal cord and nerve fibers to the eyes,” according to the National MS Society website. MS treatments can slow the symptom progression, but there is no cure. 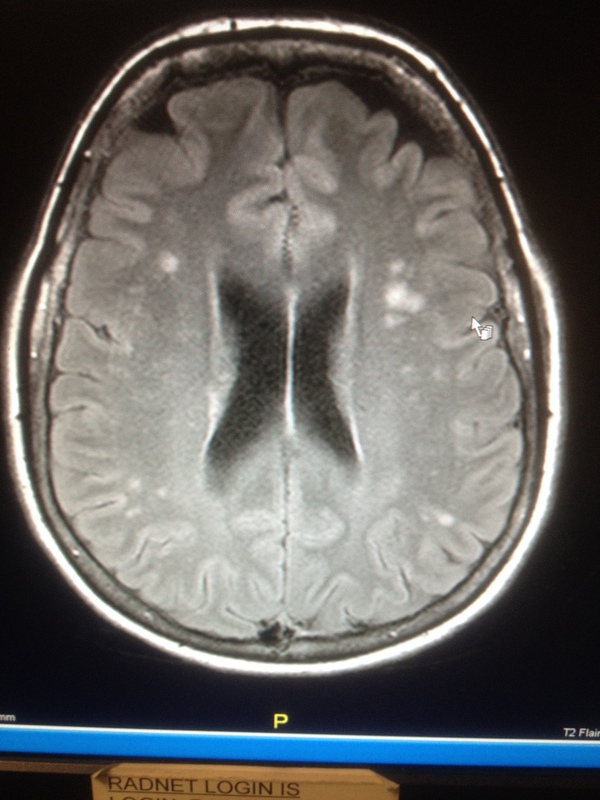 Shannon Farar-Griefer’s brain scan from Feb. 19 showing the 60 new lesions. Post-diagnosis, Farar-Griefer’s doctors encouraged her to stay active, and she had no problems following those orders. Between the time of her diagnosis and now, she says she has already gone on to run two more Death Valley races, as well as “a few more” 100-mile races, and more ultramarathons and marathons. With three kids aged 23, 20 and 6 years old, she maintains an upbeat attitude. Even with her superhuman abilities, in the past year, she has started to feel effects of the disease and its treatments. On Feb. 19, an MRI revealed she has 60 new lesions in her brain. She said there are days her “arms aren’t working” or she can’t get out of bed or walk or has trouble swallowing. 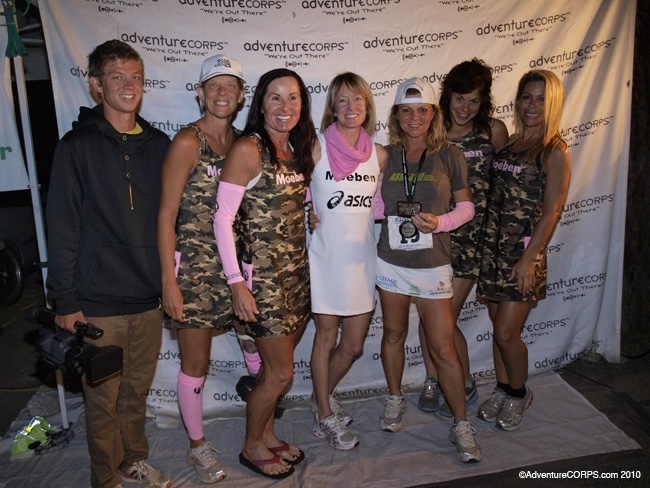 Shannon Farar-Griefer (third from right) after running the Badwater Death Valley race in 2010. After the LA Marathon, Farar-Griefer has a more personal event marked on her calendar. She has been chosen as the runner for the 135-mile California stretch of the second annual MS Run the US Relay. On average, runners take six days to plow through the 135 miles. However, Farar-Griefer is not your average runner. “I want to run it straight because I have kids. I think I can do it in forty-something hours. 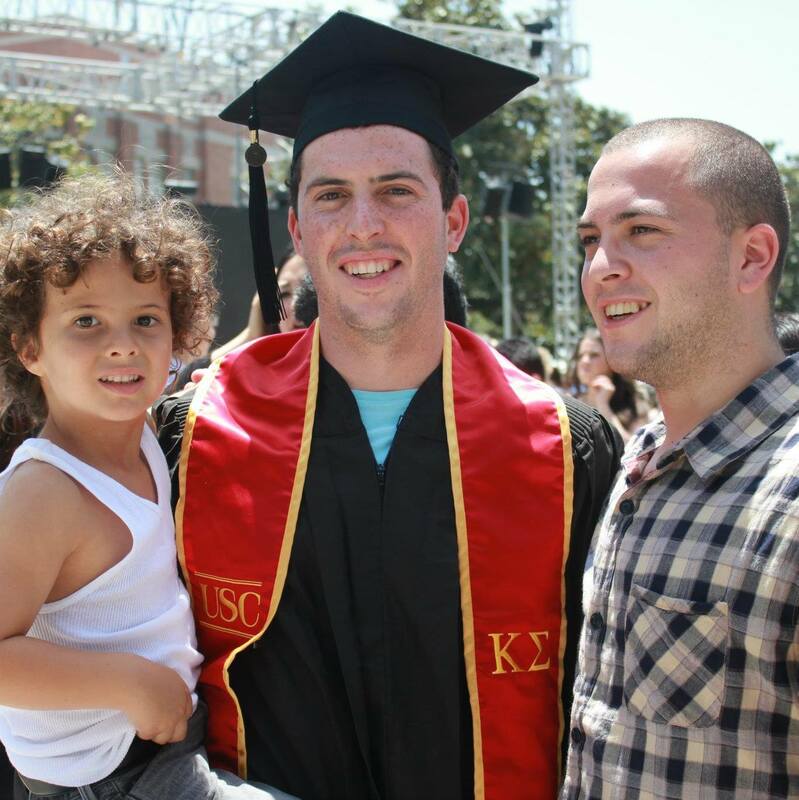 I did it in Death Valley so I think I could run it in about the same time,” Farar-Griefer said. In addition to the relay, MS Run the US is also holding 5K run/walk events in California, Colorado and New Jersey. On April 13, when Farar-Griefer begins her route in Los Angeles, participants have the opportunity to run alongside her for 3.1 miles. Registration for the 5K is open on the MS Run the US website with an early bird fee of $30 available until March 9. Further details can be found on the website: http://MSRuntheUS.com. “People that see the runners are inspired to take action for this cause or in their life and really do something right now,” MS Run the US founder Ashley Kumlien said. Kumlien founded MS Run the US in 2009, inspired by her mom’s attitude and fight. Farar-Griefer stands at a point of uncertainty. She has no idea when her MS will flare up or what days she’ll be physically fit to run long distances. Shannon Farar-Griefer’s three sons. Left to Right: Jet, Moe and Ben Griefer. Regardless of how many more ultramarathons she has left in her, Farar-Griefer has already proven herself. Her oldest son, 23-year-old Moe Griefer, said he does worry about his mom, but he’s also proud of her. “My mom is the toughest person I know and she loves running too much to stop it altogether so as long as the doctors say it’s OK to keep running, then I’m all for it,” Moe wrote in an email. He mentioned that during his childhood, Farar-Griefer was always “laid back and the fun mom,” as she led by example rather than pressuring him. Farar-Griefer revealed that her motivation to keep pumping her arms with all odds against her comes from within. All photos courtesy of Shannon Farar-Griefer.